Eric Ronan is passionate about taking pictures. He is one of Ireland’s freshest and most contemporary photographers. I feel honoured when someone hires me to take their wedding photos. I know that this is the most important day of their lives and to be asked to be part of that is an amazing opportunity. With a mixture of candid/reportage and posed shots, Eric promises that the photos will show the fun and excitement of the special day. On the day of the wedding he knows that nerves will be high and so with his unique style and personality he will make the shooting as easy and unobtrusive as possible. Albums will comprise of a mixture of colour and black & white images. Starting at the Brides home he will document each moment of the day as it happens. Now supplying the services of the Photo Booth Studio for the evenings entertainment for the guests. Unlike a traditional booth Eric's Studio set up can take large groups and gives out 6x4 inch photos. Contact Eric today to discuss your special day. 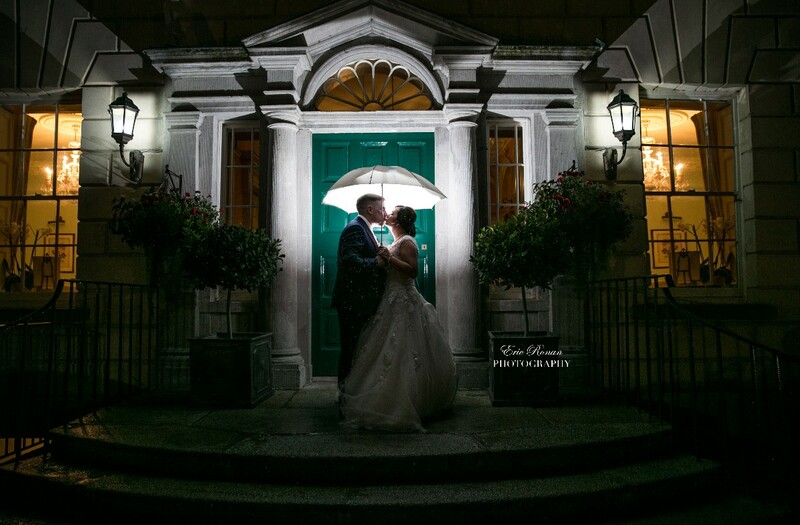 Eric Ronan is a creative and incredible wedding photographer from Dublin servicing weddings throughout the local area including Wicklow, Kildare, Meath, Westmeath, Louth and nationwide. 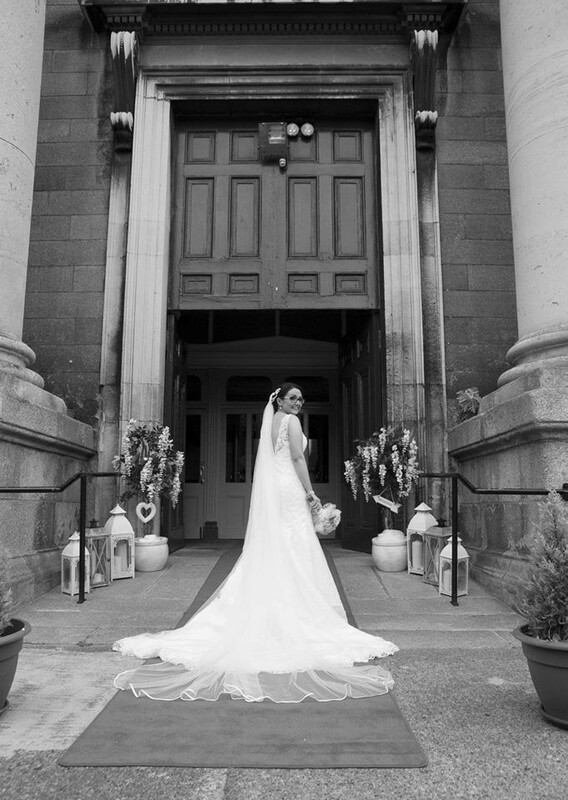 Eric Ronan is a professional wedding photographer that has been part of the wedding photography industry since 2006 specialising in creative and candid wedding photography. Eric is amazing so professional and such a nice guy. It was great to have him capture our day he was so good with our 8 year old daughter and has a great personality! Hi Joanna thank you so much for your lovely feedback. It was a real pleasure to capture your big day. I wish you all the very best in the future. Was so inclusive of all and put everyone at ease created more than one belly laugh. We had Eric as our photographer for our wedding on the 26th Of October 2018 and he was fantastic. From our 1st phone call, Eric was a true professional in helping us with the photography for our big day. On the day itself, Eric was great at getting the photos we wanted done and he was also great fun. Our family and wedding guests all commented how good he was. I would 100% recommend Eric, he listens to you which is important. From my 1st phone call to Eric to our wedding day, Eric was a true professional and a gentleman. He listened to what we wanted, which is so important and delivered on the day. Aswell as being professional , Eric was great fun too and his interactions with our families and guests was top class. We also had the photobooth using the green screen technology from Eric, this was absolutely brilliant and great fun for all ages throughout the night. The memory book is a lovely gift from this. 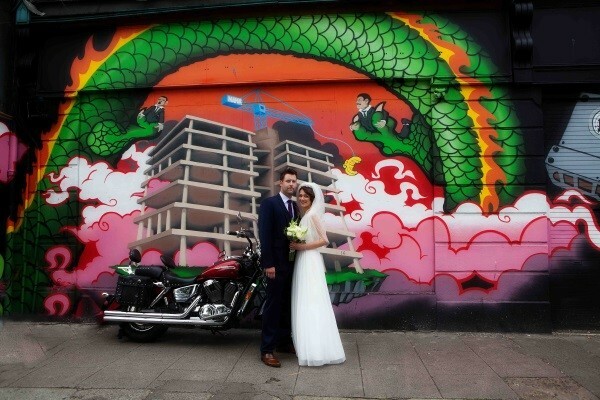 We 100% recommend Eric Ronan as a wedding photographer for your big day, you will not be disappointed. We have attended many weddings were Eric was the photographer in the day. He is absolutely super at what he does and really makes everyone feel at ease. He is extremely professional and friendly. He also takes really quirky photos that I don't see a lot of. Couldn't recommend Eric highly enough. 3rd time we’ve encountered Eric at a wedding & he was amazing again! So professional yet always having fun to put everyone at ease! Thanks so much Eric!!! From start to finish our day with Eric was brilliant. He put everybody at ease from the start and this continued throughout the day. His fly on the wall style of photography was just what we were looking for and we are more then delighted with the finished pictures. We would highly recommend Eric for anybodys wedding. We choose Eric after seeing him at my mother in laws wedding and from see his work through social media. Eric was friendly and made us feel very comfortable while taking our pictures during the ceremony and after we would defiantly recommend Eric. Eric was fantastic.So professional and mingled and chatted to our guests. We loved our photpgraphs. I think one of Erics greatest skills is how quick he works, we got so many beautiful photographs, but it did not take much time out of our big day as eric was so organised and quick to "pose us"
Eric photographed my daughter's wedding. He was a dream to deal with from start to finish. He is a gentleman and utter professional who put everyone at ease, making the whole process quick and seamless. I'd have no hesitation in recommending him to anyone who is looking for a photographer that takes a genuine interest in his Brides and Grooms and makes the entire experience so relaxed and fun. Eric loves what he does and it shows in his work. The photos were just amazing. He has given us treasured memories that we will have forever. Great personality , Eric is full of life and enthusiasm . Super professional and works at great pace to ensure you get to spend optimal Time with your guests. Great to deal with, efficient with delivery of pictures . Honest and fun . Couldn’t recommend him enough . It was a joy to have Eric as our photographer on our wedding day. He had great idea's but also included any requests we had. We felt very at ease on the day as he made us feel very relaxed while getting the photographs taken.A true professional and such a gent? Eric was brilliant. We asked for staged and natural photos and that was exactly what we got. We have a baby and Eric worked around the babies schedule and let the day flow naturally. He took the pictures quick and they came out great. He was that good, that one of my friends at the wedding booked him for her wedding. I would highly recommend Eric. 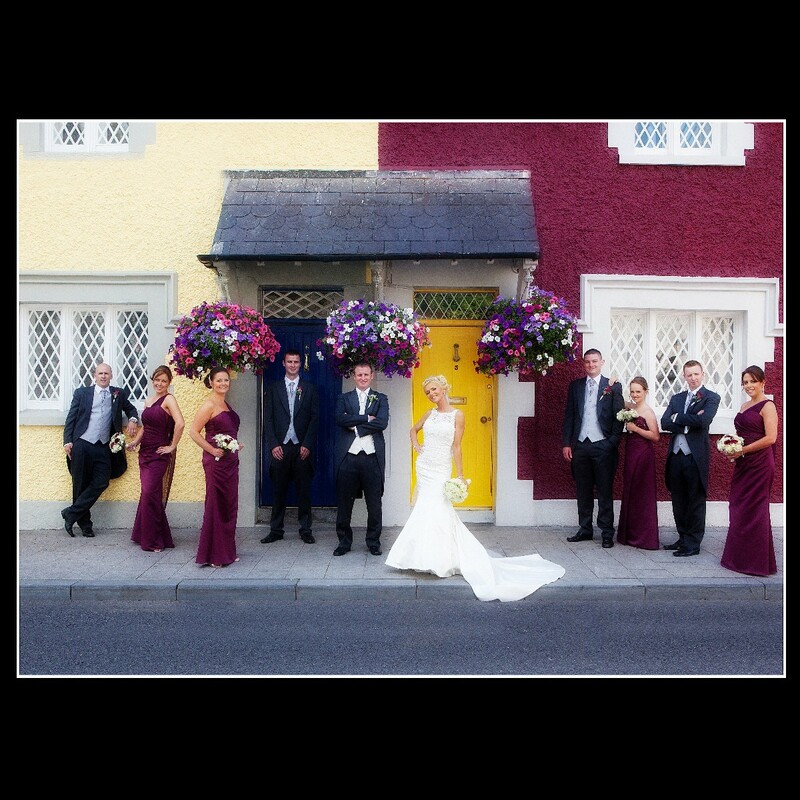 We would highly recommend Eric, he was very professional and listened to what we wanted from the photos on the day. Having received them we are over the moon with them. On the day he was not intrusive and captured all the moments we wanted and more! He is very easy to work with. Can't recommend him enough. Hi Joyce and Fabio , what a fantastic day it was in the Brooklodge. The weather really was on our side. It was a real pleasure to capture your big day. Thank you so much for choosing me as your photographer. The wedding photographer Eric Ronan was amazing. 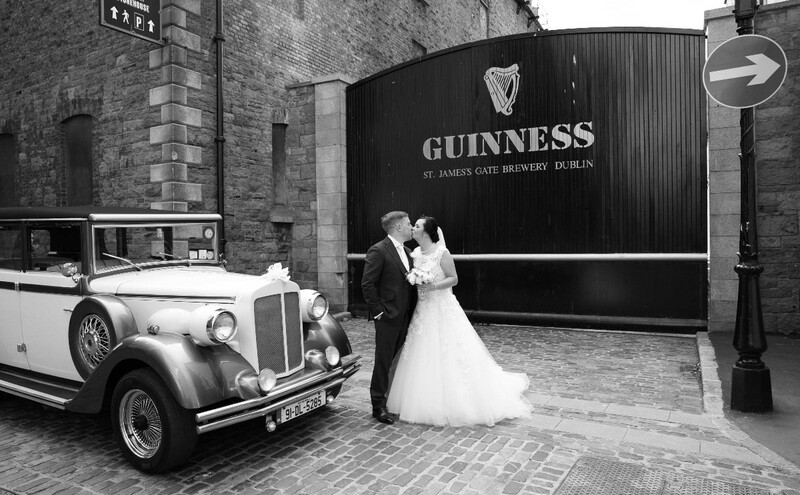 I got married in Ireland but I am based in England. Eric was available for me to talk to and when he wasn’t, he made an effort to get back to me within 24hours. On the day of my wedding he was punctual, made everyone feel confortable and was even able to do my dress up- it was a corset and he was a pro! During the day he tried so hard to get as many photos without intruding. Eric was organised, focussed, gave outstanding direction and there was no part of Eric that was pushy. My guests commented on how professional, funny and lovely he was. Eric Ronan was a delight to work with, my photos look fabulous! From 1st contact with Eric he was amazing.. he asked what we wanted but I hadn’t really thought too much about it so we let him roll because he was the expert.. he was like a fly on the wall through the ceremony.. he was so professional on the day but had the banter which showed in his work.. my pictures are amazing and will have them to remember always.. id highly recommend Eric for any occasion..
Eric made my sister very relaxed on her special day as she was very nervous.he had a great personality for the role of a wedding photographer. His photo ideas ere very imaginative. He included everyone in the photos. I would differently recommend Eric to do your wedding. I would give him 5 stars. Absolutely fantastic photographer. Was so happy I stumbled across Eric on Facebook and booked him for my wedding. The photos were beautiful and we had loads of fun taking them. I would highly recommend Eric to anyone looking to book a photographer, he was a pleasure to deal with and did an amazing job on our wedding photos. Eric is a great photographer & puts everyone at ease. He has great ideas & his pictures turn out brilliant. I would recommend him to anyone I know. Eric is reliable, extremely professional an excellent photographer and with the personality was an added bonus. The whole day was magical we loved our Album, the Canvas was the icing on the cake fabulous idea and a great touch. We would highly recommend his services we paid for a photographer but got so much more on the day you can pay for a photographer but you can't buy a personality or for someone to go over and beyound on the day. Eric was so helpful to us when we needed to change dates he was so accommating to us and was able to fit us in for our new date. He is very professional in all he does. My guests still talk about how good he was on the day and the green screen photo booth was amazing. Nothing was too much for Eric. I am not one for photos but Eric made me feel so at ease. Unfortunately on our wedding day it was raining and myself and my husband thought that we wouldn't get the few out door photos that we really wanted, but Eric was well prepared and had brollies with him so that we could get those amazing shots by the castle. Eric thank you so much for all your hard work on our day. You really were amazing. Eric was amazing to deal with from the very first point of contact all the way to collecting our beautiful wedding albums. He was always so professional and easy going, reminding us to enjoy our day and to leave the details to him. Thank you again for everything. Sarah and Lukas. Eric put everyone at ease straight away. Very professional and the pictures were stunning. Our wedding album has been viewed by the great and good and they all agree that the photos are stunning. From the start Eric was amazing, he exceeded all expectations we had, we had a winter wedding and were limited with daylight hours and Eric knew exactly what to do in order to get the most out of the time we had with the outdoor photos. He was extremely responsive to every correspondence we had and kept us updated on our albums, to which we cannot fault. We also had owls for our photos (which we decided on after booking Eric) and he was brilliant, not something he works with everyday or every wedding but he took what we wanted and made it work and I have some amazing photos to show for it. If ever I need professional photos taken again I will.be straight back to him no question. Thanks so much for your review Podger. Eric was a dream to work with from start to finish. I met Eric at the wedding show in Citywest. I had met several photographers that day, but Eric really stood out to me. Other photographers I found were quite pushy and kept pushing their own ideas forward, whereas Eric asked me what exactly I was looking for and we built on from there. He took the time to understand that me and my husband were camera shy so we wanted him to be hidden throughout as much as possible while still capturing those special moments, he also made sure to find out the important pictures we wanted for example it was so important to us to have a picture with our grandparents who are in their 80's. On the day Eric put us at ease straight away, he had us laughing the whole way through our special day. His skills in time and crowd management are exceptional and he must have the patience of a saint to deal with my aunt standing infront of him all day trying to take her own snaps on her disposable kodak camera. 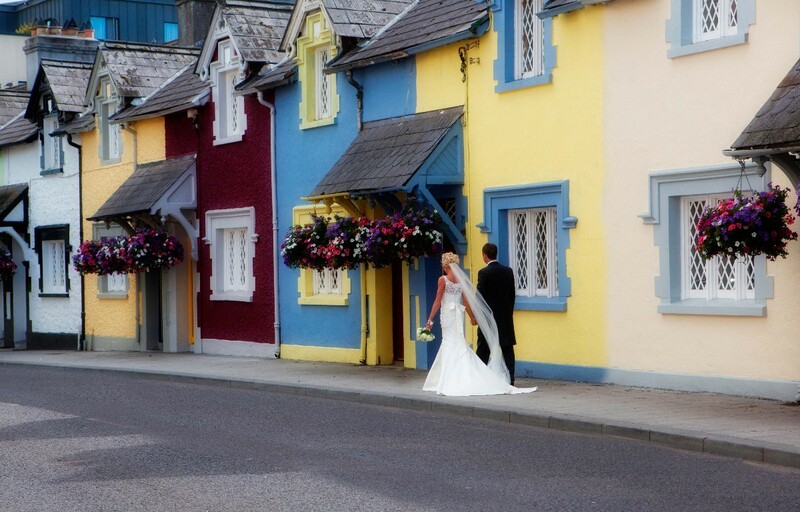 :) We had our wedding on the 25th November in Kilkenny. We had our photographs taken at the castle so our time management was essential throughout the day to ensure we had enough light at the castle for our photoshoot. Eric was exceptional in this regard, he made sure he had all pictures he knew we wanted as well as his own creative snaps which have become so important to me now. 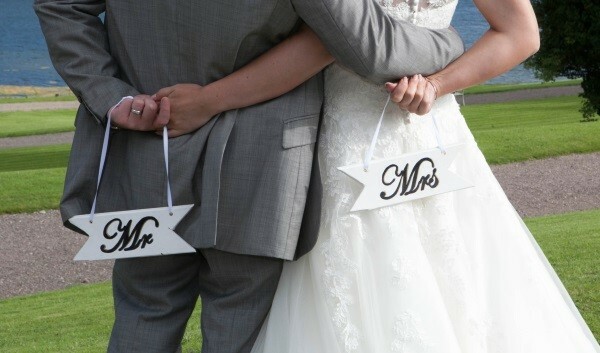 For any couple due to get married, the one piece of advice everyone tells you is to make the most of your day - it is the quickest day of your life. You treasure your photographs so much after your wedding day. I can't recommend Eric highly enough, he truly was extraordinary in his preparation and his presence on the day. His photographs are so beautiful and capture the moment so perfectly. My husband chose Eric as our photographer because he loved hus work straight away. He looked through all his wedding shots online and loved how he captured each wedding in a unique way. Most photographers take thw same photos over and over and there is nothing unique about your day. For any couple, i would highly recommend Eric, hes a gentleman with such a wonderful personality. 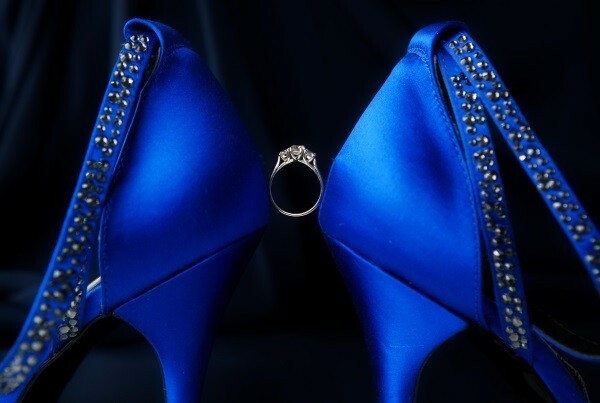 Wedding photos are memeories of your special day, Eric captures each moment perfectly! He kept us all laughing/relaxed throughout, patience of a saint lol as there was quite a few of us to gather. I have even booked him for my own wedding march 2019. I would highly recommend eric. Eric was brilliant from start to finish. He also supplied us with our photobooth which was a great hit with our guest's. He has a great personality, great patience and a great sense of humour. He made us feel all at ease and captured some really great moment's for us. From the first contact with Eric he put both of us at ease as we had a change in venue. He was so professional and on the day everything ran so smoothly and he put my nerves to ease. All our guests commented on great he was with everyone and especially with the children, he brought such a fun atmosphere to the photos and this showed in the photos. The quality was amazing and he didn't miss a shot, we were so happy with them and will cherish the memories he captured forever. I would highly recommend Eric for your wedding photographer. He is absolutely brilliant . We had him for our wedding last year and he done an amazing job . He knew exactly what photos to capture . Our wedding album is top quality too . Hi Maggie thanks so much for the review. It was a great day indeed and It was a pleasure to shoot your big day. I wish you all the best in the future and thank you again for choosing me as your photographer. Eric was a pleasure to work with on our wedding day. He put us completely at ease and made the photography shoot easy and enjoyable. It went so fast and Eric was really quick at getting the perfect shots. Eric was always fast at replying to emails and answering any questions we had. 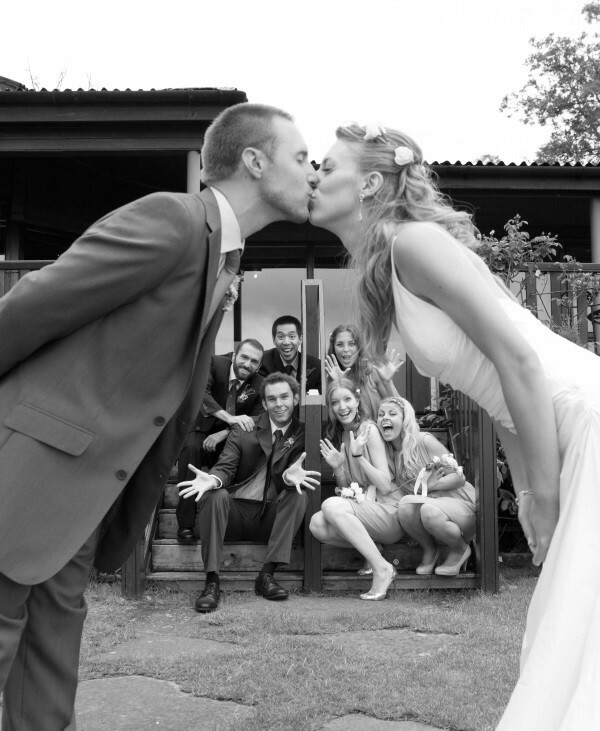 He is a highly professional wedding photographer and has excellent interpersonal skills. I highly recommend him for capturing your big day stress free. Eric was very friendly and professional throughout the lead up to our wedding and was fantastic at making everyone feel relaxed and happy on the day itself. We were so happy with our album and would recommend him to anyone. Eric Ronan was everything I could have dreamed of in a wedding photographer. His experience and professionalism showed in every step of the process. We even consulted him on when to time our ceremony and dinner reception! He made sure to get pictures that we wanted, but we left most of the pictures and poses up to Eric, and we are so delighted with the results. His charm and personality helped to calm the nerves of myself and my mother on the day, which made the day much more enjoyable and less stressful. I especially appreciated how he took the time to show us some pictures directly on his camera, so we weren't left wondering how our pictures would turn out. We chose the Digital Key package as the best fit for what we wanted from our pictures, but we felt that all the package options were reasonably priced. He captured our personalities and the feel of the day, and we are so pleased with all of the pictures! Brilliant photographer and so much fun to be around.he made us feel so comfortable on the day as we are a bit camera shy.Eric was brilliant with our guests getting everyone involved.we loved our wedding album it was hard to pick the pictures as all were great.Eric was so easy to keep in contact with and listened to everything we wanted.speedy replys when we needed questions answerd.would recommend Eric as your photographer you wont be disappointed. Eric is really professional and made us feel at ease when booking and on the day. Would definitely recommend as our photos are gorgeous. Eric was a great photographer he was very friendly easy going and patient full of great ideas for fabulous pictures for us all to look back on . Would highly recommend Eric to anyone. He made our day even more special. A true gentleman. Album is amazing, photo booth was a great add on. Eric is an absolute gent, truly an all round nice guy and to top it off he is a top top photographer!! He provided us with an unbelievable album at a very reasonable price. I would reccommend Eric to anyone. Eric made us feel at ease from the second we met him & we knew we could just trust him to do exactly what we wanted and needed on the day! He ensured our bridal shoot was so elaxed and natural and we all just laughed the entire way through! He mingled with all of our guests & the photos he got really blew us away. Would highly recommend him to anybody! From the start i knew i wanted Eric to do our wedding photos! Everything was so professional and nothing was a problem. I knew he took fab pictures but wow when i seen them i couldnt believe what he captured! I found it so hard to pick for our album as i loved them all! Thank you again Eric memories we will have forever! Eric is a lovely guy who is very professional and his photo booth is a great party piece which Eric is The Star of with his great personality. Eric was so friendly and put us all at ease. He genuinely made the day better ???? Hi Louise thank you so much , you were a fantastic bridesmaid and a credit to your sister. Its been a pleasure to meet you and your wonderful family. Eric took us through the day with such ease from minute he arrived in our house. We all clicked with him immediately & he put us all at ease, from my Mam to my Aunty to my daughter. My sister & I sat & had a drink with Eric later that night as he was so much fun & we had a great laugh! All the photos were amazing, innovative & unique to us. I can’t imagine any other photographer being able to click with wedding party in such an intimate way while still perfectly respecting privacy. Eric was very energetic and friendly. He got some lovely pictures and we were delighted with our album. The photo booth was also an excellent addition. I would highly recommend Eric. Eric has Exceptional Attention to detail which shows in his photography. Would highly recommend Eric to all my family & friends. Eric is an extremely professional, talented , devoted and unique photographer. His work is like no other I have seen before. Eric takes elegant and classy photos but also incorporates the fun into his images. He creates a spectacular ambience and I could not recommend any higher. We booked Eric after seeing his work at a friends wedding. If you want a true professional who won't take you away from your guests for hours, then Eric’s your man. Eric will ask if there are any specific shots you want for the album, if you want him to take the lead completely or if you want natural shots throughout the day. As a very photo shy couple, Eric made both os us very comfortable posing for photos and had the two families laughing throughout the day. Not long after the wedding Eric supplied all the images from the wedding so we could choose which we wanted in the album (he will guide you or choose the pictures if that is what you want). The album was printed quickly and we have had lots of compliments on it in the past few weeks. We are delighted to have such unique photos and memories that we can cherish for many years to come. Eric was the most amazing of photographers. He was so inclusive of all in attendance. So attentive to the bride, groom and the entire wedding party, capturing the most precious of moments. His photo booth provided hours of entertainment with such a fun and welcoming atmosphere. I would highly recommend Eric for any special occasion!he will not disappoint. He's the absolute best in the business. Getting Eric was the best decision we made through the wedding planning process. From the very beginning he was so easy to deal with, a genuinely nice guy and so experienced that he was able to offer great advice. The stress free build up with him involved was great and on the actual day we don't know how we'd have managed without him. 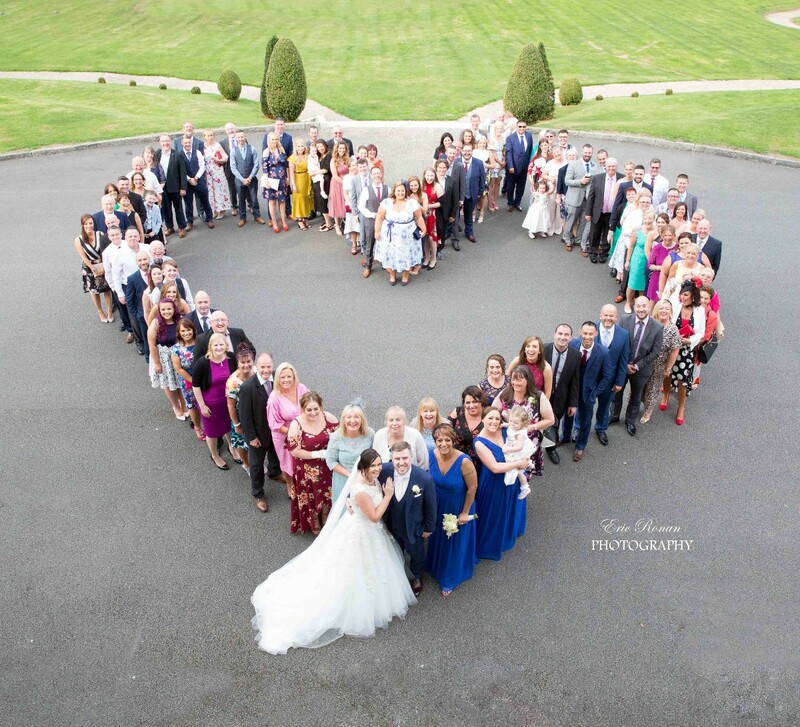 He put us and the whole wedding party at ease and as a result the pictures perfectly reflect the day as we wanted it to - full of love and fun. He ensured the day flowed brilliantly and he was so discrete whilst getting some great shots. The variety of pictures both formal and informal mean the album is a great mix and we love it. Can't recommend him enough! We used eric after a family member recommended him. Having passed on his details to other couples who have used him after us. He's a pleasure to work with and totally puts you at ease. 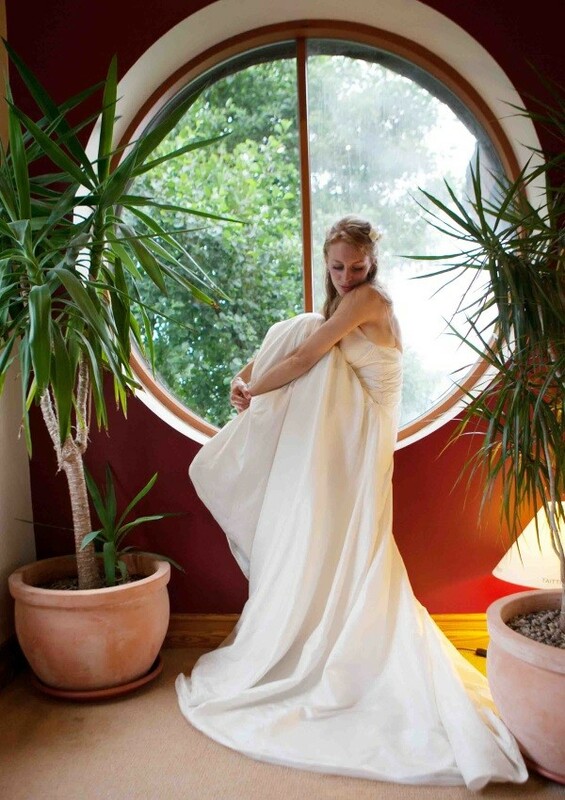 Very professional and great fun made us all feel very relaxed with stunning photos. Fantastic photographer. Experienced & organised. Put everyone at ease & didn't miss a shot. Would highly recommend. Eric was a pleasure to deal with from our first meeting to getting our album, a true gent. Would highly recommend him for any special occasion ???? Eric was our wedding photographer in 2013. I chose Eric when my friend who also had Eric for her wedding showed me her wedding album. I immediately contacted Eric as I knew from speaking to other couples that he books up really quickly due to his popularity and professionalism. He is so accomadating and so many couples from our wedding booked him after they saw some of our photographs. I would highly recommend Eric as he will facilitate any style of photo the couple wants. He both took formal and natural shots that I didn't even realise he was taking on the day. He just slots in gets the job done and delivers an excellent quality .. he's definitely one of the talented ones! Eric is a pro at what he does. He has a great sense of humour too which adds to a brides day oh and groom! We found him great to deal with and would have no hesitation in recommending him. Actually since my wedding other family members have got Eric to no disappointment for their weddings. Great work, great guy and great pricing too! Eric is one of the most professional yet relaxed photographers ive come across. I saw him in action at my brother in laws wedding and knew he was the person i wanted to shoot my wedding day. You tell him what you want and he does it. He makes the day fun and everyone went crazy about my album. It took a while to choose my photos as Eric took so many good ones. I would without any hesitation reccommend Eric to any bride and groom for their wedding photos. I can not recommend Eric enough. From our very first meeting right up until we received our album Eric was outstanding. I have very fond memories of our wedding day and Eric captured them all so well. He is professional, has fantastic attention to detail and a wonderful personality. 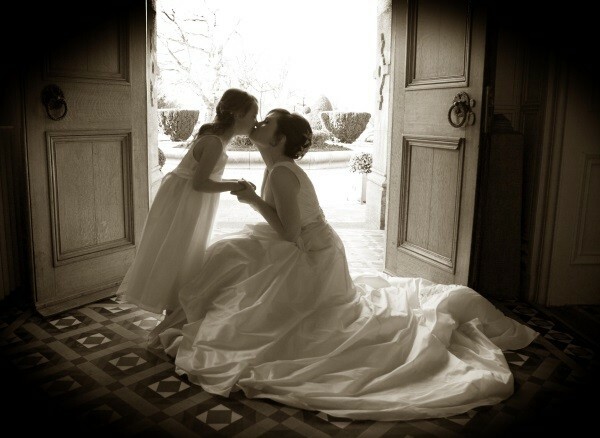 We would highly recommend Eric Ronan to anyone looking for a photographer. Great guy, fun to be around and friendly to everyone, loved our photos, amazing memories to treasure forever. He was so good in fact he photographed my husbands sister's wedding. So he's defo doing something right???? Excellent photographer. Made our day very special and captured some amazing shots that we will treasure forever. I highly recommend Eric to any couple. Eric was absolutely brilliant . From the day we met him to discuss the wedding packages to the day we picked up our wedding album he so friendly and professional. On our wedding day lots of our guests commented on how good he was. We had a lot of fun getting the photos done and were made to feel very relaxed. He helped the day run smoothly and I know many of our wedding guests have or will be looking to use Eric in the future. Where do I start Eric Ronan made our day so special. He was amazing and have given us beautiful pictures to remember our day. He made everyone feel so relaxed with resulted in great photos. I would highly recommend him to anyone . Eric is an excellent photographer. He is so personable and professional. Eric went above and beyond on the day. He got excellent shots without being intrusive or overbearing on the day. We also got the photo booth for the evening time and our guests absolutely loved their professional photos to take away afterwards. I would highly recommend Eric Roman. Eric was warm, fun bit professional and we were delighted with our wedding album. He was a pleasure to work with and gentleman to deal with on our big day! Eric was a fantastic photographer! Not only did he give us the most beautiful pictures but on the day he was fun and entertained our guests too ! We both adore our album and the photos we got in larger prints he is first class ! I can’t recommend Eric enough, from our first meeting to the delivery of our album he was a consummate professional with a great eye and flair for creativity. On the day itself he kept everybody at ease and injected a lot of fun when gathering people for photos. He was also amazing at getting in and around the crowd and taking pictures that we hadn’t known were taken until we received our CD of all our photos which were great to look back on and reminisce. We couldn’t have been happier with how our photos turned out and a lot of them take pride of place in our home. Eric listened to everything we asked for and he far exceeded our expectations, we honestly couldn’t recommend a better photographer for your big day..
Eric fullfilled all our requests and he was extremely friendly. We were anxious about the photographer being in the way throughout the day but Eric got fantastic shots and blended in. You would not have known he was there. The quality of his work was amazing. I was thrilled with my wedding album and parent albums, Eric really captured some beautiful shots. What I'll remember most about Eric on my wedding day was how he interacted with my guests, he put everyone at ease, he made everyone feel very comfortable & relaxed being photographed & honestly he's just so nice & very funny & had us all laughing & really enjoying the day. I wouldn't hesitate in recommending him, very professional, I'm delighted with photographs from the day, couldn't ask for any better. We chose Eric as our wedding photographer through a recommendation of a family member. He did not disappoint. We barely noticed him there on the day but yet he captured the day perfectly. Everyone always comments on how good our wedding photos look and Eric listened to exactly what we wanted. It was very relaxed getting the photos taken and we had so much fun. Eric definitely captured the magical moments on the day and I would not hesitate to recommend him to future couples getting married. Eric did our wedding 7 years ago. He was so much fun to work with and made us both so relaxed. So processional also and we were delighted with our album. Eric was our wedding photographer and we were delighted with him from the very beginning but were even more thrilled when we got our album and disc of photos. The only problem was it was so hard to only pick a few for the album, we wanted to put them all in!! The smiles in the photos are genuine and Eric helped achieve that with his witty jokes/comments. He isn’t intrusive in the ceremony but is still able to get the shots. I have recommended Eric to lots of couples I know and my brother and his wife used him after our wedding and my other sister in law and her husband too and it was great seeing Eric again as he remembered myself and my husband all those years later and took some special family shots with our daughter too. Eric made our day very special, he is very professional and went out of his way making sure everything was just the way we wanted.I would highly recommend him. I would highly recommend Eric to anyone. He was very approachable and is dedicated in what he does. He took some amazing photos of our day. He made everyone feel at ease and went above and beyond to make our day so special. Eric was professional, very bubbly, put us at ease. We didnt have to worry about a thing on the day, very relaxed & amazing to work with. We were blown away by our album! Brilliant photographer. Was lovely to deal with. Really puts everyone at ease and is a lot of fun????. We were really happy with our photos. Eric did an amazing job. Would not hesitate to recommend Eric to anyone looking for a wedding photographer. Eric Roman did everything above and beyond to capture our special day. Advice offered and attention to detail captured. You wouldn’t even know Eric was there as he was so professional and the day had a smooth flow Highly recommend Eric to any couple getting married. We still look at our album remembering such an amazing day captured (10 years ago) perfectly by Eric! Thanks so much! My self and my husband researched a lot of photographers for our weddin as we wanted to have amazing memories and Eric ronan was the most amazing one we found . Our wedding was in August 2012 and Eric came and right for the start got beautiful images of my dress and me getting ready. He done photos we asked for and left the rest up to him and his imagination and he delivered amazing images. We received all our images on a disc and the most beautiful wedding album. We couldn't of picked a nicer man to do our photos. We definitely be using him again for family shoots thanks Eric. We’re delighted we chose Eric to photograph our wedding. We really liked the style of the photos in the galleries on his website and once we met Eric, booking him as our photographer was an easy decision. Eric was a pleasure to deal with, from start to finish. He’s an excellent photographer, was relaxed yet super-organised on the day, he worked quickly and took a great selection of natural and more formal photos. Eric got on really well with our family and friends, and put everyone at ease as he snapped away. We were delighted with the selection of photos we received from him after our big day, the hardest part was narrowing down the selection for the album, as we had so many great shots to choose from! I can’t recommend Eric highly enough... he’s a great guy and an even better photographer. It has taken me 5 months to chose the photographs for my wedding album, the reason for this is that they were all amazing, I never had any doubt that Eric could take fantastic photographs (this is clear from the sample albums) but what was evident in our pictures is that Eric can capture the essence of the day. Eric was as always extremely professional, Eric put all the guests and the bridal party at ease that they were not aware when he left. Eric became part of our day and he captured every moment of the day magnificently. We were very anxious of time, we could not have asked for things to run any smoother. 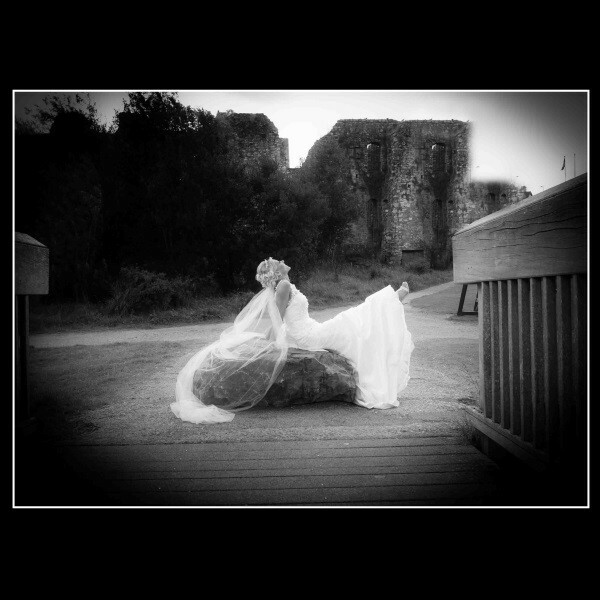 I have to specifically mention our time in Trim Castle with the bridal party, as I have been a bridesmaid in the past and I want to thank Eric for being so punctual and organised on the castle grounds. We had the pictures taken and we were back in the hotel in record time. There is such a collection of photographs and every single one would have a place in our album if possible. I have been asked by two family members to give feedback on Erics service on the day and I have to say it was better than we could have expected. I would recommend Eric (and I have recommended him) to any person that is looking for a photographer to capture the most important moments of their lives. On our day Eric captured things in the most relaxed manner both in his presence and also in the photographs. I have received my album and I have been showing it off to everyone. I wish to Thank Eric for all his hard work and for agreeing to be part of our special day. Just a quick note to express our heartfelt thanks to Eric for all your efforts on our wedding day. Your passion, professionalism and commitment to capturing the perfect photos was clear throughout the day. Your relaxed personality helped both of us enjoy the experience so much more. The photographs and the album are absolutely beautiful and we are delighted with them. We would not hesitate in recommending you to anyone looking for a wedding photographer.Thanks so much. 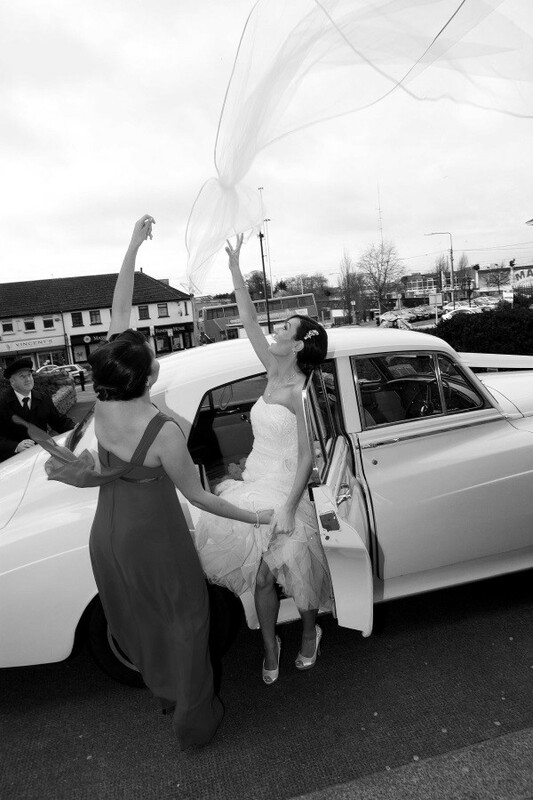 We booked Eric for our wedding on 31st March 2012 at Dunboyne Castle. We couldnt thank him enough for helping us on the day. He guided us through everything and made us feel at ease. We just followed his lead throughout the day and everything went so smoothly. Our photographs are fabulous and we had a hard time "agreeing" on our choice of photos as they were all beautiful! Our guests our still talking about the photographer-they enjoyed the banter! We originally got Eric's number from weddings online.He came out to our house to meet with us talked us through the process and we booked him there and then.He kept in touch with us on the run up to the wedding and come the big day he was great craic in directing everybody to get the best photo yet very professional and made everyone feel at ease and very relaxed.We received our album recently and were very impressed at the quality of the photo's and layout.We would recommend Eric to anyone looking for a Great photographer on there wedding day. We had Eric as our photographer when we got married in August 2010. From our initial meeting to the day we collected our album we found Eric fantastic to deal with. On the day itself he made the whole photograph taking process relaxed and good fun. He took great photos and we are delighted with our album. Lots of our family and friends have said to us how great they thought he was also. We would highly recommend Eric to anyone who is looking for a photographer for their Big Day. Eric was an absolute pleasure to have as part of our wedding day. His approach could not have been more perfect - lighthearted and personable yet practical and caring with a wonderful eye for detail. We only recently received our wedding album and we are soooo happy with it - a good mix of natural / fun / posed/ romanitc / scenic shots. And to top all that off, he believes in providing vaue for money but does not compromise on quality! Eric really does tick all the boxes and we wouldnt hesitate to recommend him to anyone. We found Eric fantastic to work with. He was very accomodating from our first meeting - he listened to what we wanted and certainly delivered! On the day he got all the shots we wanted and more without being intrusive which was important to us. Eric is very friendly and easy going and put us at ease on the day so we could enjoy the photos. We found that Eric was prompt with preparing the album which was nice to look forward to on return from the honeymoon. I loved the cd of our photos to music as its something we can bring with us easily when visiting friends or family.Eric has different options for the album and I found his prices were very reasonable. We would highly recommend Eric and have done so to friends already. Just wanted to say thanks a million to Eric for the fantastic job at our wedding in April 2010. The photos were absolutely amazing. My Mam and Dad both have health issues and Eric was so kind and conscious of this and put everyone at ease. We will treasure the photos forever. 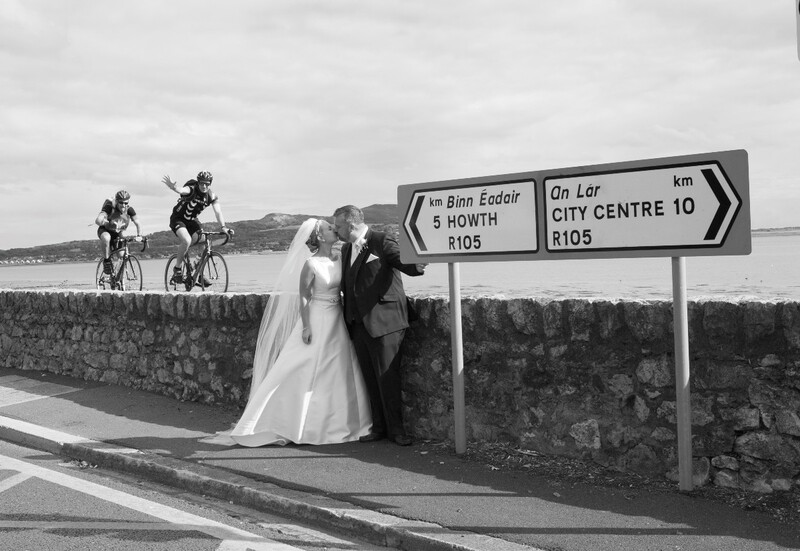 We first met Eric Ronan at a wedding fair in Trim Castle in '08 although we were not there to pick a photographer the quality of Eric's photo's caught our eye and after a short conversation with him we knew he was the man for the job. On the day of the wedding this proved to be true as he made us comfortable throughout the day with his courteous and professional manner. He also made the whole experience fun. The album turned out to be the icing on the cake as it was far more then we ever expected, the pictures were so clear and the album was very well done, we would have no problem recommending him to any of our friends and family. 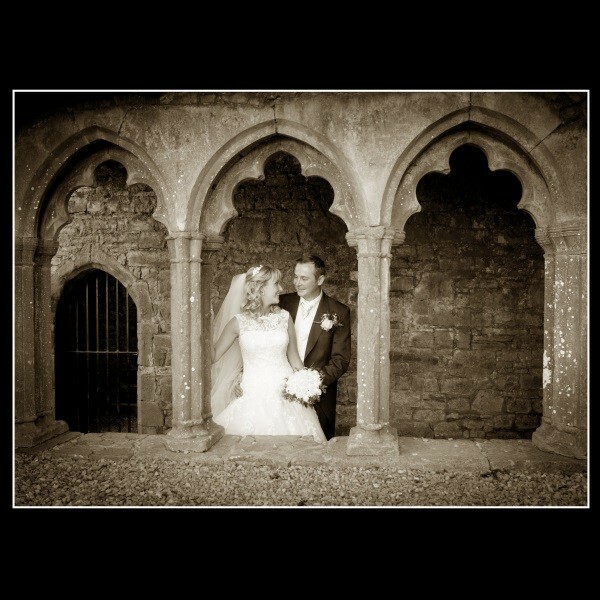 We had our wedding in September 2009 and we had Eric as our photographer and we have to say from the minute we met him and booked him we were delighted with our choice and didnt worry at any stage up to the wedding. Then on the day of the wedding he was terrific, everyone was smiling the photos and that was down to Eric and his sense of humour. The afterservice was even better, when we got home from honeymoon our CD arrived a couple of days later, we (eventually) decided on our photos and Eric had the design done up within a day or so and we didnt change a thing in it. He has a great eye for detail and a lot of the photos we loved werent the posed ones they were ones that Eric just took "in the moment". Our album is stunning and everyone says so when they see it, it has a modern layout but still with a classic feel to it. Eric gives you a lot for your money. We would highly recommend Eric (and have done to many brides to be) and will definitely be using him in the future. Eric was 'simply the best'!!! He put us all at ease and went about taking photos without any fuss or intrusion, whilst giving us a laugh or two. He was completely professional without being stuffy or bossy. He took some fantastic shots of our special day and had our photos for choosing within a month. The album was ready for collection with a couple of weeks of us choosing the final photos. We were absolutely delighted with the finished result and will treasure it always. We would have no hesitation at all in recommending Eric as a photographer and he definitely brought a sense of calm to the day whilst getting a fantastic job done. Thanks Eric - you did a great job!! We were married in March 09 and had Eric as our photographer. We found him to be very professional and reasonably priced. He made all the wedding party very comfortable on the day. What we found great was the way he had a laugh with us so the photos did not seem to take too long as we were enjoying ourselves. He also thought of little things like telling the bridesmaids to take the price tag off my shoes!! When showing friend the photos they were commenting on some of the different styles and props he uses. We found him very open to our suggestions. We received the photos on cd within a few weeks and the Album within 3 months. We have heard of others waiting YEARS for theirs. We would have no hesitation recommending him. I was absolutely delighted with the photographs that Eric took of our wedding day. Everyone has said how unusual and beautiful our album is. Eric caught some amazing moments through out our day and he made all our family and friends feel very comfortable. Even before the wedding Eric was happy at any time to discuss what we were looking for and what type of photo's we wanted. We got back from honeymoon very close to Christmas and Eric had our photo's ready for us to pick and even had our Album, DVD and Montage ready just in time for Christmas which was amazing. I am delighted with the full package, for us it was important that we could have all the photo's taken on the day and that is what we got. I would highly recommend Eric Ronan to anyone who was looking for a photographer. He is professional and a pleasure to deal with. I would highly recommend Eric to anyone. He was very friendly and approachable and made everyone feel at ease on the day. He took loads of really beautiful shots and some really funny, quirky ones too. He didn’t leave without asking all of the bridal party and guests if they wanted any further pictures taken. He had the pictures on a DVD ready for selection soon after the Honeymoon with lots of useful hints and tips for the selection process. I’m looking forward to seeing the album. The best points to note are that you get every shot taken on the day to do with as you please, (ie print, email), you can have up to 60 images in the album and you have full control over how the album will look. I’ll definitely use him for all my weddings!! 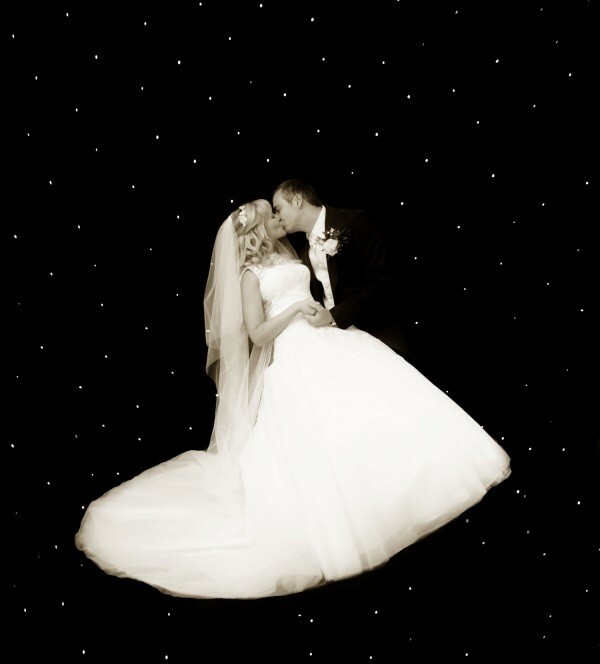 Ask the Experts - Wedding Photography - Do I have to pay the photographer up front?